Libbys on the Loose:2 Humans. 2 Great Danes. 1 RV. : Our Amazon aStore is now live! Thank you to everyone for your continued support, comments, and feedback regarding our posts and reviews - we really appreciate it! In an effort to make it a bit easier to shop for products (or just to browse) we have created categories the match the post name where the review was done. So, if you are looking for the Big Green Egg products, for instance, you would simply click on the "Store" link on the top navigation bar, then select the "Big Green Egg" category. This will then list all of the products associated with the Big Green Egg post. As always, if you have any questions, comments, or concerns about how to use the store or if you notice an issue with the store, please let us know. We will also be adding some more products to the store that we have used and like to use, but haven't necessarily done a review on them. Rest assured, if it's in our store, we stand behind it - we would buy it for ourselves! If you decide to make a purchase of one of the items and that purchase is made through our store, we want to give you a big "Thank you!" in advance. 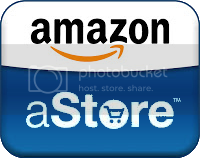 Each purchase that is made through our store gives us a small commission from Amazon. It's not much, but it's enough to buy us a couple little things here and there so that we can continue our journey and share our experiences with you. The more we sell, the more we will continue to test and give our feedback, hopefully saving everyone time and money in the process!